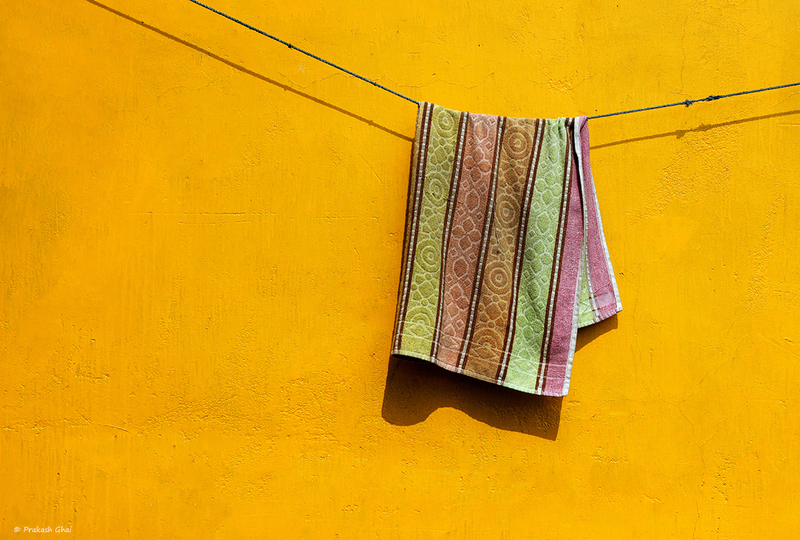 What we have here is a Minimalist Photograph of a Towel Drying On A Clothesline in India on a Yellow Wall. This was shot at Chandpole Bazaar Jaipur. I took prior permission from the Shopkeeper before clicking this. I never showed him what I clicked by the way. And there is a good reason for it. Well, If I would have showed him that I was shooting just the walls and not photos of his hardware shop (which he presumed would be published in the next day's newspaper, as I look like a news agency hired photographer), he would have probably not allowed me to shoot, thinking that something is wrong with me. I mean who takes pictures of walls? Yes, some people react this way. Anyways, Talks aside, I kept it very simple yet again. I left ample negative space to the left of the frame. The Yellow Wall is the Highlight here of course. Also Note: The Colorful Towels contrasts so nicely with the single colored wall. Hope you liked the shot. 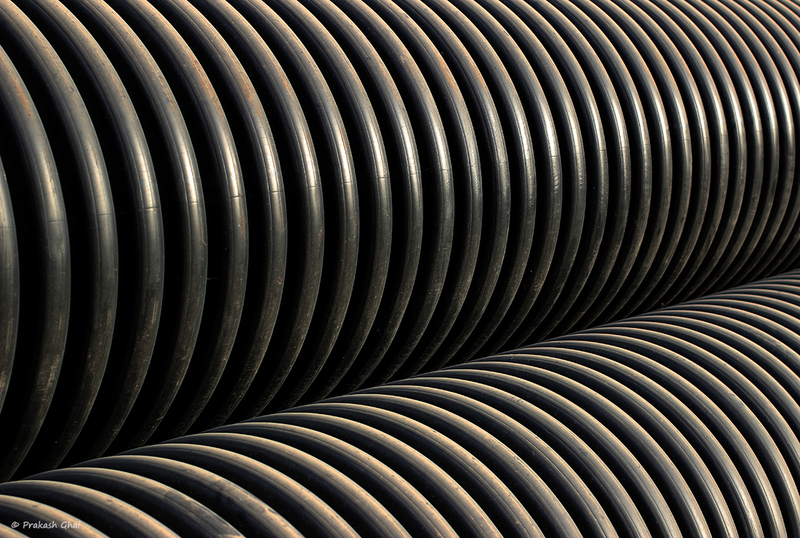 A Shot of the Curves of Plastic Industrial Pipes forming a Repetitive Pattern. Shot taken via Canon 100mm Prime Macro L Series Lens mounted on Canon 600D Camera. I found this stack of pipes on the outskirts of Shyam Nagar, Jaipur. These were laid near a Construction Site. I took about 15 shots in total and some of them were too messy. This one in particular, was very simple and I personally like it for the Diagonal Line I created via moving to the side. As you can see, the Curves of the Pipe aka its texture is in Repetition, therefore this Minimalist Photograph falls under Minimalism as Repeating Shapes category of Minimalism. Hope you enjoyed the photograph. 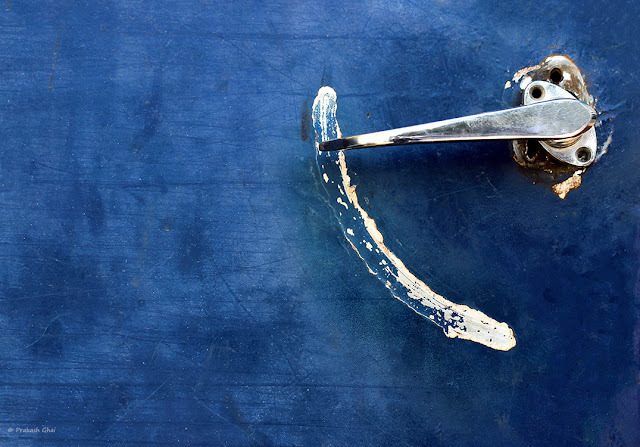 A Minimal Art Photograph of an Old Door Handle of a Parked Bus that I spotted near Ravindra Manch, Jaipur, India. Shot taken via Canon 600 D Camera. I guess I had the 50mm Prime F/1.4 Lens attached that day. What prompted me to click this? The Broken nature of the Handle, as you can see the screws have come off. Also, the Curve the handle has made by regularly rubbing against the Blue Metal Sheet of the Bus. 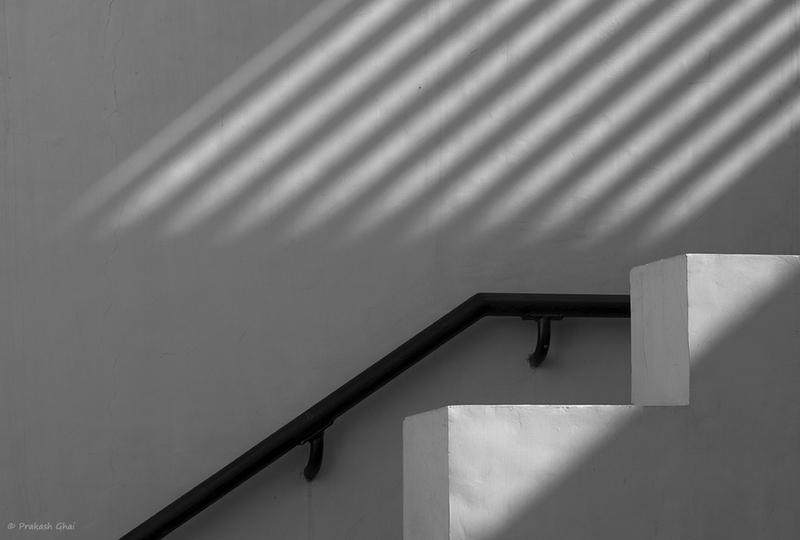 There are plenty more photographs on my blog. The Only elements here being a) The Street Lamp and b) The Metal Fence. Yes, I have kept it real simple. 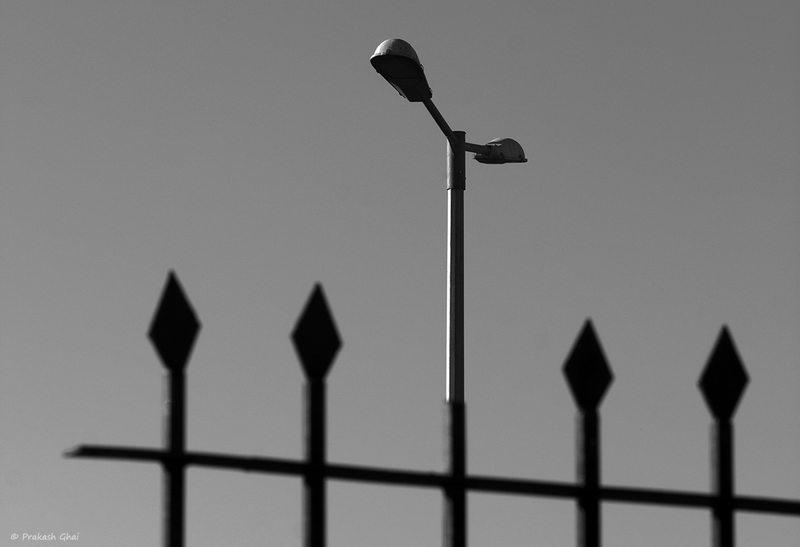 To make the Photo stand out , I have created a visual effect that kind of portrays that the Street Lamp is a part of the Broken Metal Fence and the fence doesn't look like its broken. I did so by bending down on my knees and visually connecting the fence and the lamp by moving left and right. Its a weird shot or one may call it a trick shot or something else. I clicked this while I was attending the Jaipur Art Summit.